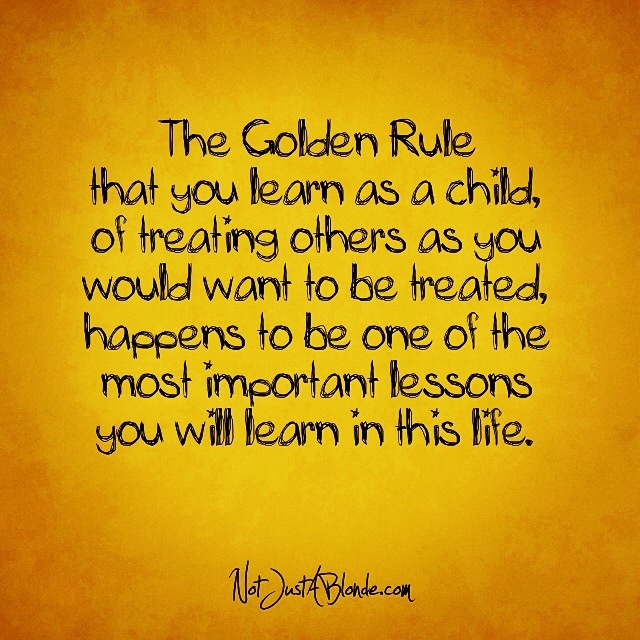 The Golden Rule that we learn as children, of treating others as you would want to be treated, happens to be the most important rule you will ever learn in this life. The Golden Rule’s true expression involves treating others how you would want to be treated: with respect, compassion, kindness, patience, generosity, and love. This rule should not be interpreted with the ego, but with the spirit. The ego may interpret this as saying if I like hugs I should hug others… but we must consider what is the intent behind the hug? If the hug is to communicate love, concern, and connection, then it is best if we share the intent behind the hug with consideration of the values and preferences of the recipient. If a person does not enjoy physical touch, we are encouraged to express ourselves in a different way that will share these values in a way that is more meaningful. The Golden Rule involves sharing values and principles that envelop the way each of us feel cared for, respected and loved. The highest form of compliance to this sacred rule is when we consider the feelings of the one receiving. The Golden Rule is NOT about what we DO, but is about how we make each other FEEL. Love on.